Effective and creative Bible teaching results in . . . Article: Really Teaching for Changed Lives? 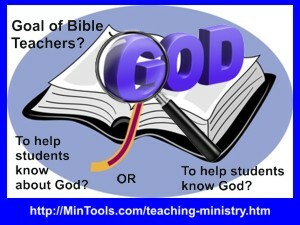 Effective Bible teachers focus on being the kind of teacher who makes a difference . . . Article: Being Versus Doing: Which is most important in ministry? Article: Teacher Acrostic - What's in Your Heart? Effective Bible teachers invest the time, commitment, and effort it takes . . . 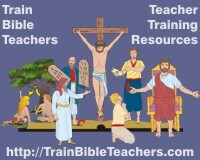 Effective Christian Bible teachers rely on the work of the Holy Spirit . . .